H.M. Tilford: We'll make you a millionaire while you're sitting here from one minute to the next. Plainview: What else would I do with myself? H.M. Tilford: You asking me? H.M. Tilford: Take care of your son. I don't know what you would do. Plainview: If you were me and Standard offered to buy what you had for a million dollars, why? So, why? H.M. Tilford: You know why. Plainview: Yeah, you fellows just scratch around in the dirt and find it like the rest of us instead of buying up someone else's hard work. Brooding masterpiece from Paul Thomas Anderson. There Will Be Greed. There Will Be Vengeance. 'There Will Be Blood'. There's no easy way to approach Paul Thomas Anderson's latest effort, it's about as unsettling and disturbing as they come. With piercing subtlety, this haunting epic takes us to a dark place exploring business, religion, and above all else, greed. 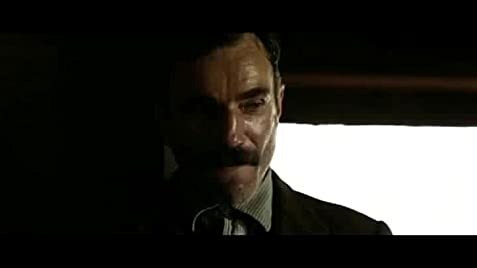 Completely enthralling and one of this year's most ambitious pictures, 'There Will Be Blood' is a near masterpiece that gives us perhaps the greatest performance we've seen in years. Paul Thomas Anderson. What can you say? For a man still relatively early in his career, 'There Will Be Blood' is only Anderson's fifth feature film, and his third that tops a whopping 150 minutes. Responsible for the script as well as providing stunning direction, there are few in Hollywood today who can make such heavy, pondering films and somehow hold the attention of so many. Yet despite quite an impressive running time, there's a rich and textured story to be told here that demands every minute of its time. No filler. It's a methodical and deliberate picture, but one that pulls us in from start to finish. The script (adapted from Upton Sinclair's "Oil!") is beautifully constructed, deep and startlingly realistic. Johnny Greenwood's barebones score is chilling and effective (sadly not eligible for an Oscar), and its cinematography is sweeping and wondrous. A soul-dead oilman, hellbent on succeeding and leaving everyone else in the dust. Whatever the cost. The hype is worthy and very much deserved. Daniel Day-Lewis delivers the performance of a lifetime, one that will surely go down in history as one of cinema's greatest. He is absolutely sensational, every line of dialogue delivered with such a ferocious undertone that will slice through even the toughest of audiences. A brilliantly layered and rich character, Day-Lewis brings Plainview to life with such jaw-dropping vitality. And while it's easy to focus purely on this masterful performance, it's important to keep young Paul Dano in mind as well. A blossoming actor, he shines in this fantastic role as a supposed prophet and healer. These are two actors, both on opposite sides of the spectrum, who understand the art of the craft and pull no punches. They drive 'There Will Be Blood' home. 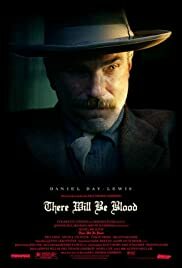 In the end, I find it difficult to call 'There Will Be Blood' a perfect film. A flawed masterpiece, perhaps. It's difficult to pinpoint exactly what happens, but a slight road bump seems to halter the film's final act. But any film that can lure Daniel Day-Lewis out of the shadows and back on the big screen is a notable achievement, and it's worth talking about. 'There Will Be Blood' is a deeply challenging film whose ability to rattle an audience is like few others.